A common tactic utilized by plaintiff’s lawyers is to try and inflate the “pain and suffering” damages associated with a personal injury claim. This is attributed to the fact that economic damages (e.g., medical expenses and lost wages) may be insufficient to secure a sizable settlement or verdict that would be financially worthwhile for the attorney and their firm. As a result, an exaggeration of the psychological and emotional impact of an incident occurs quite often in this area of law. Obviously, catastrophic injuries can be emotionally traumatizing. Some medical treatment and surgeries can amplify the stress and inconvenience associated with an injury. Nevertheless, the Court in Ripple v. Davol, Inc., Case No. 2:16-CV-144552017 (S.D. Fla. May 31, 2017) made clear that product liability cases involving medical devices are not an arena where infliction of emotional distress damages can be pursued. In Ripple, the plaintiff filed a product liability lawsuit alleging an array of supposedly tortious misconduct including negligence on the part of the device manufacturer, a failure to warn of the safety risks associated with the device, negligent misrepresentation, and intentional and negligent infliction of emotional distress. The Ripple court quickly dismissed many of these claims and focused a large portion of its opinion dismantling the infliction of emotional distress claims. The Court determined that a plaintiff is required to allege conduct that is so shocking in character and so extreme in degree that it goes beyond all possible bounds of decency. The Court went further by declaring that an infliction of emotional distress claim cannot be premised solely on negligence and product liability because the claim must involve a degree of physical contact or severely threatening behavior. The Court supplied examples of previous cases where this threshold was met and they certainly did not involve alleged product defects. The Court cited to Vernon v. Med. Mgmt. Assocs. of Margate, Inc., 912 F. Supp. 1549, 1561 (S.D. Fla. 1996) where the case involved a defendant who was repeatedly touching, fondling and tickling the plaintiff along with repeated incidences of lewd and vulgar sexual remarks. The Court also cited to Stockett v. Tolin, 791 F. Supp. 1536, 1556 (S.D. Fla. 1992) where the plaintiff was physically assaulted on a regular basis including being pinned against a wall and refused to allow to escape. As you can see, pursuing negligent or intentional infliction of emotional distress damages in the medical device context is particularly absurd when you take that high threshold into consideration. In the medical device liability context, the vast majority of devices have been approved by the Food & Drug Administration (FDA) which means they were tested and analyzed prior to being made available for sale. In addition, even when a device has met all FDA requirements, they must be marketed to trained surgeons who will conduct their own review and analysis (this is necessary because a licensed surgeon must implant the medical device). The Ripple Court dismissed the emotional distress claims, with prejudice, due to the lack of any supporting case law or facts that would substantiate such claims. As you can see, plaintiff’s lawyers will make every attempt to inflate their damages claim. This is why you need experienced, aggressive defense counsel to take on such claims. The Brownsville defective medical device claims attorneys at Colvin, Chaney, Saenz & Rodriguez, L.L.P. are ready to get to work. 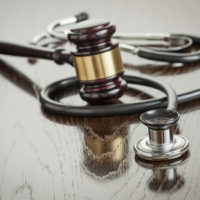 Our legal team utilizes our extensive trial skills and experience to the complex litigation of claims involving medical devices and get results.